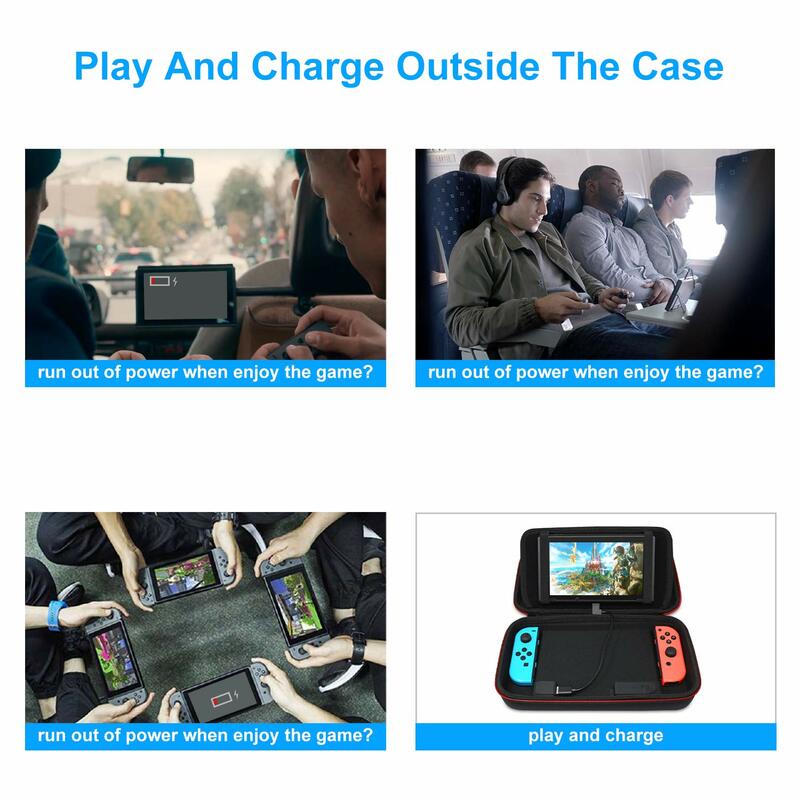 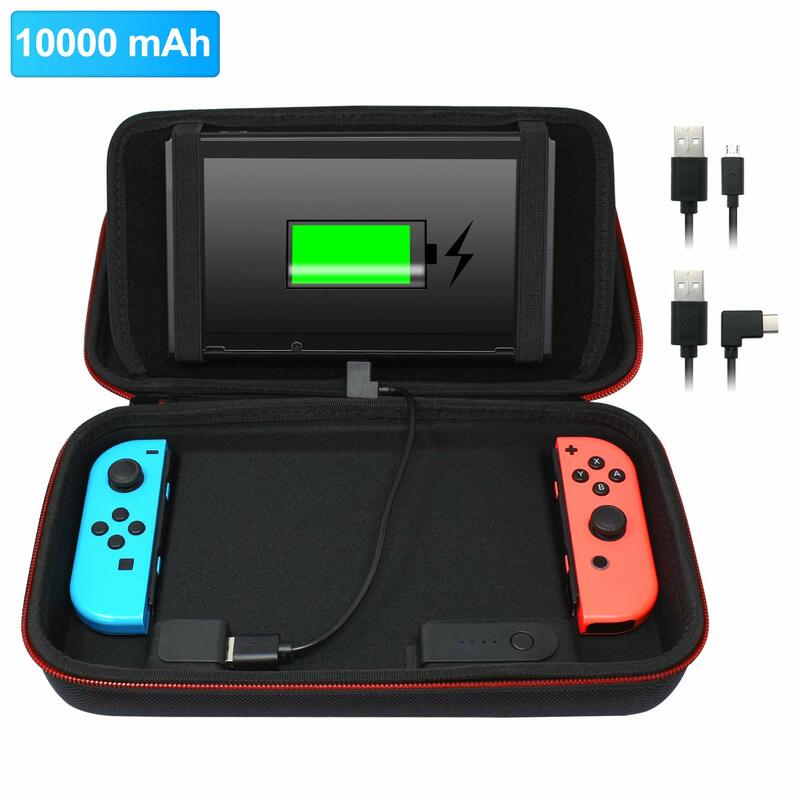 1.New Edition of Charging Case for Nintendo Switch - This new case can offer 10000mAh power and it can be used as a stand for Nintendo Switch. 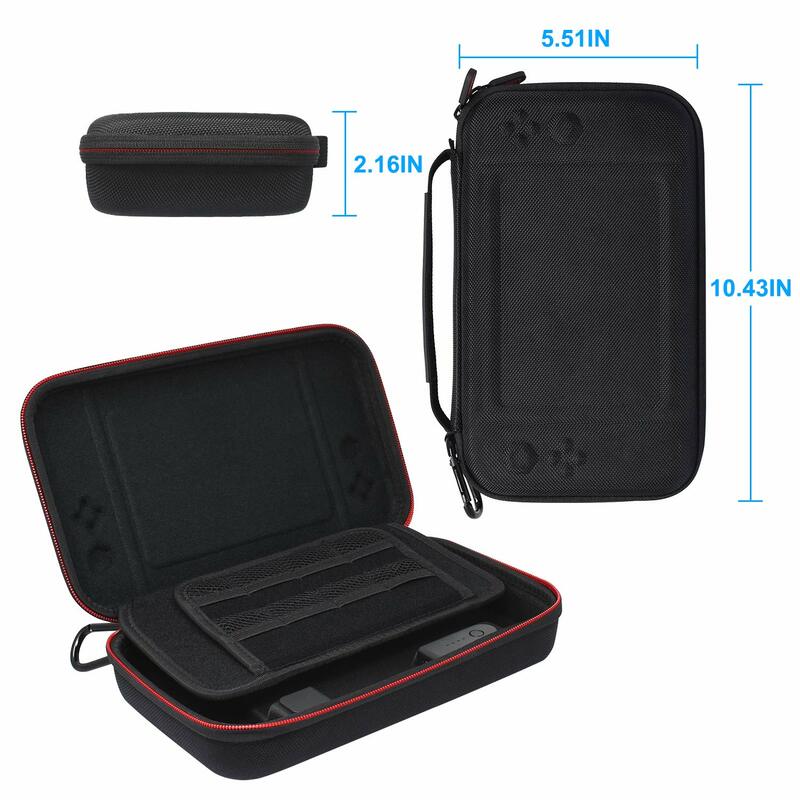 2.This carrying case for Nintendo Switch is a good choice for you on the go. 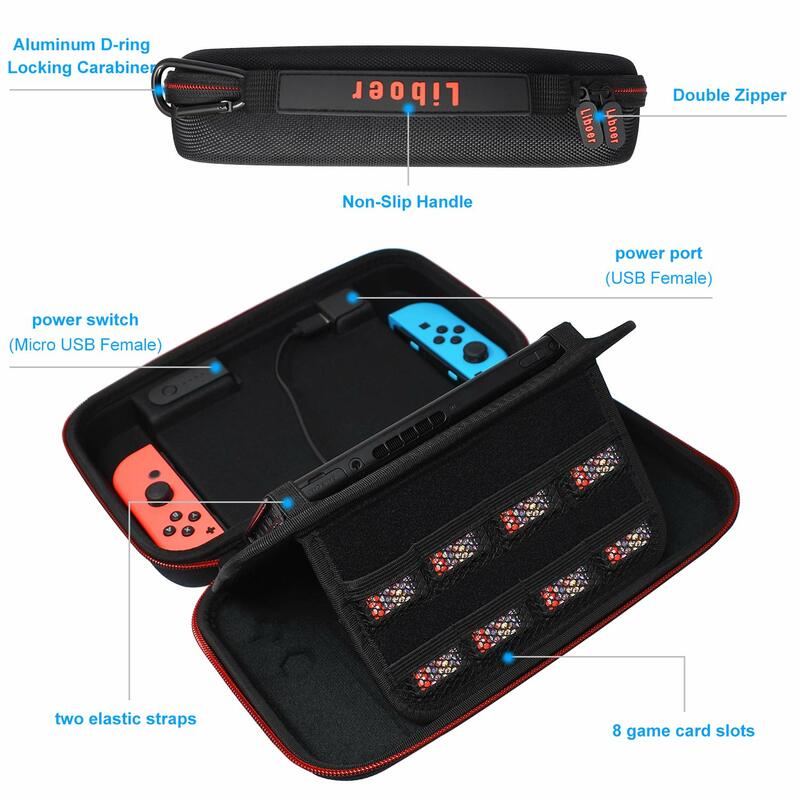 It has non-slip strap and carabiner so you can take it easily. 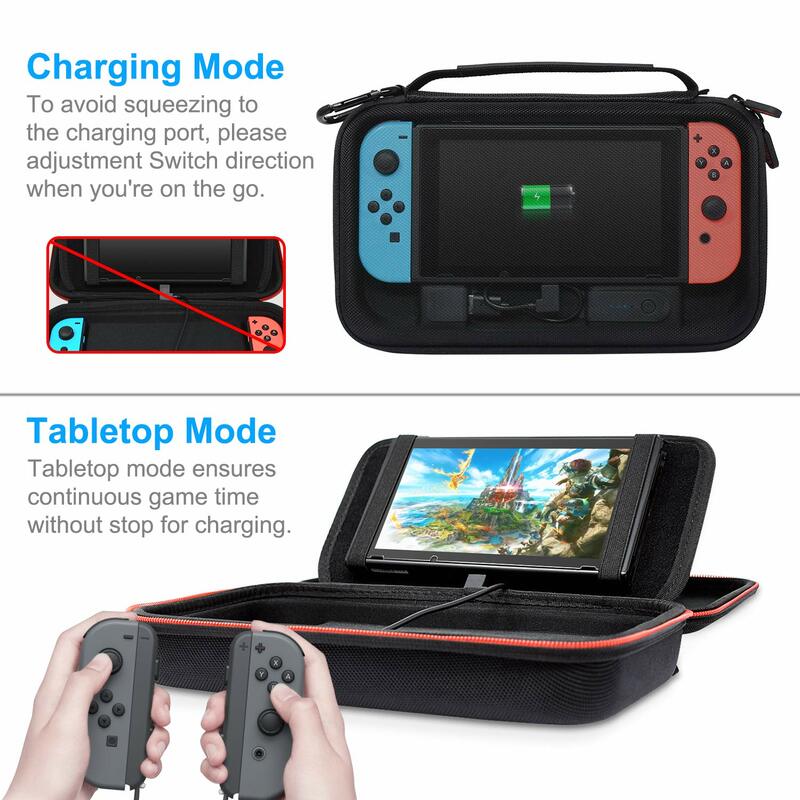 3.Built-in stand allows the use of tabletop mode and charging at the same time. 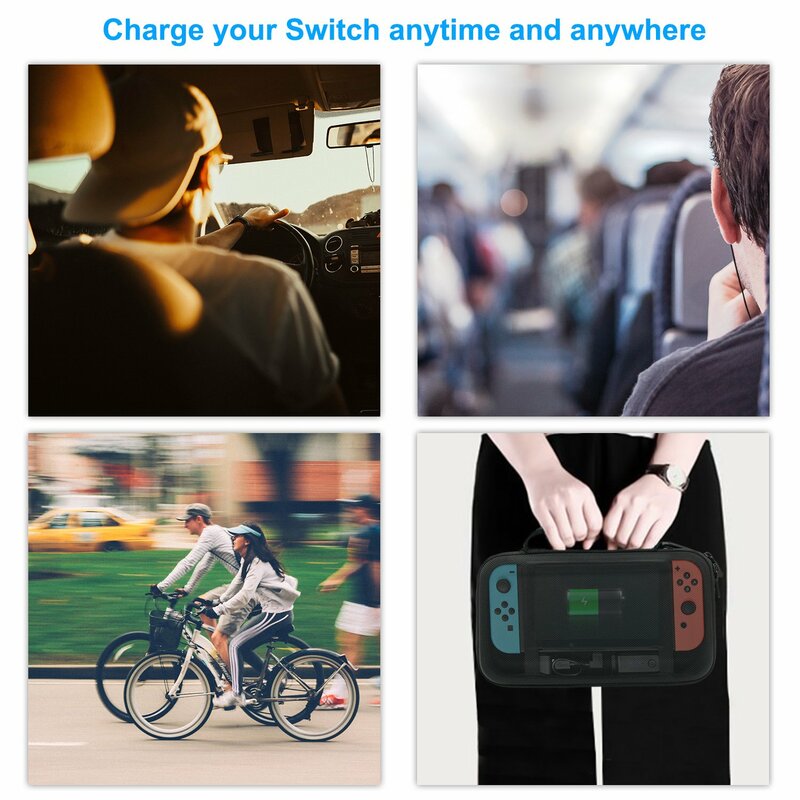 So you do need to take your extra stand for Nintendo Switch.